ATL Sports HQ Live is back for episode 23 of our weekly show. This week Phil welcomes Daric and Bob as co-hosts. We talk recent Atlanta sports news and other national sports news. ATL Sports HQ Live is back for episode 22 of our weekly show. This week Phil welcomes Daric, Bret and Clark as co-hosts. We talk recent Atlanta sports news and other national sports news. ATL Sports HQ Live is back for episode 21 of our weekly show. This week Daric welcomes Phil and Clark as co-hosts. We talk recent Atlanta sports news and other national sports news. ATL Sports HQ Live is back for episode 20 of our weekly show. This week Daric welcomes Bret and Clark as guests. We talk recent Atlanta sports news and other national sports news. The crew, Bob, Phil and Daric, is back together for episode 19 of our weekly show. We talk recent Atlanta sports news and other national sports news. The crew, Bob, Phil and Daric, is back together for episode 18 of our weekly show. We talk recent Atlanta sports news and other national sports news. The crew, Bob, Phil and Daric, is back together for episode 17 of our weekly show. We talk recent Atlanta sports news and other national sports news. Daric and Phil welcome guests, Ryan and Bret is for episode 16 of our weekly show. We talk recent Atlanta sports news and other national sports news. The crew, Bob, Phil and Daric, is back together for episode 14 of our weekly show. We talk recent Atlanta sports news and other national sports news. The crew, Bob, Phil and Daric, is back together for episode 13 of our weekly show. Special guest Bret Anderson joins us to give his insight as we talk recent Atlanta sports news and other national sports news. The regular crew is back together for episode 10 to talk about the Hawks recent play, Falcons cleaning house, and other Atlanta sports news and national news. Phil and Daric welcome ATL Sports HQ member Ryan Miller to discuss Atlanta sports and other national news. Phil, Bob, and Daric welcome special guest Nia Sapp to the show to discuss Atlanta United's championship run, Falcons, Hawks and other sports news. ATL Sports HQ members Phil, Bob, Daric and Tushar will be live for episode 5 of the show. They will be talking about Atlanta United and their playoff performance so far, SEC Championship, the Hawks, Falcons poor performance, Braves and end with Buy or Sell segment. ATL Sports HQ members Phil, Daric and Bob talk about Hawks, Falcons, Atlanta United and more in episode 3. ATL Sports HQ members Phil, Daric and Bob talk about Hawks, Falcons, Atlanta United and more in episode 2. 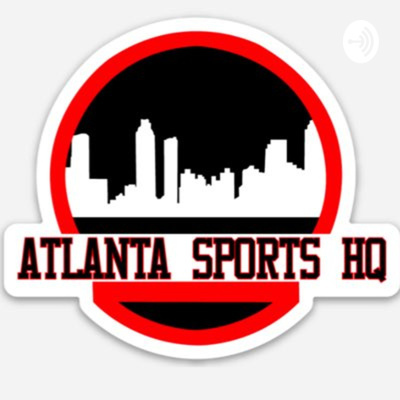 ATL Sports HQ members Phil, Daric and Bob kick-off the podcast series talking about the Atlanta Hawks early play, Atlanta United chances and the Atlanta Falcons playoff hopes and more.